Design development for Frank Gehry’s model railroad museum in rural New England is chugging along. 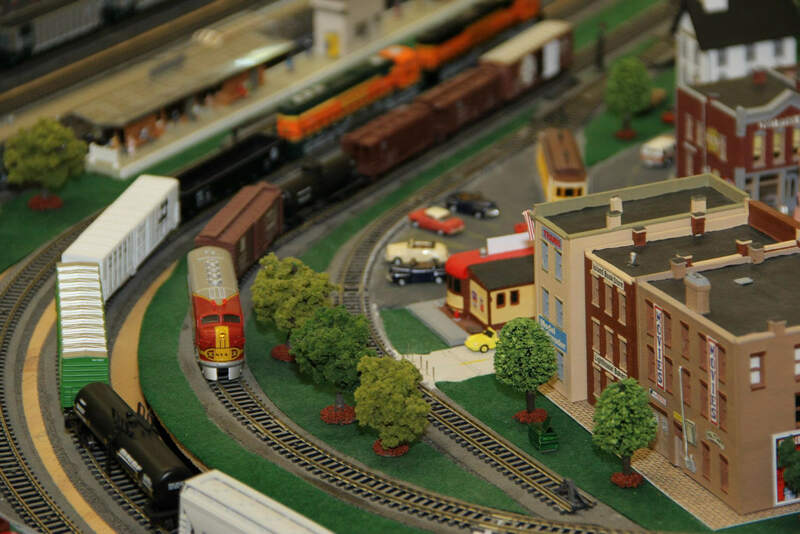 The Extreme Model Railroad and Contemporary Architecture Museum aims to condense the wide world of architecture into a museum with tiny trains. The project, near the contemporary art museum MASS MoCA in North Adams, Massachusetts, mashes up scale models of buildings like the Empire State Building, the Shanghai World Financial Center, the Tate Modern, Fenway Park (the museum is in Red Sox territory, after all), and 161 other notable structures against each other in a 670-foot-long gallery to create a scenic tableaux for model trains—and curious visitors. The big-name buildings will be grounded by more than 1,000 other structures, all built at a scale of 1:48. Though it’s far from the world’s tallest building, SOM’s One World Trade Center will rise to 40 feet (America!) to tower above its peers. The entire shebang will be surrounded by video projections of landscapes that can change with the season. But the train situation puts any rail system in America—real or fake—to shame. There will be 12 lines (two of them high speed), with a combined 2,000 freight and passenger cars, as well as 107 locomotives. Visitors will start in the Berkshires (North Adams’s home) and head towards New York City, London, Tokyo, the Southwest, and the Rocky Mountains. Firms the world over are contributing models to the project. Extreme Model Railroad and Contemporary Architecture Museum Inc. is leading the design and fabrication of the interior exhibitions, with Jarzyniecki as a consultant, while Gehry is in charge of the exterior. The project will anchor the redevelopment of Western Gateway Heritage State Park, one of nine parks Massachusetts established in the 1980s in its former industrial cities and towns to spur tourism. That park is expected to host two other museums and a distillery. The museum, a for-profit enterprise, is expected to be complete in 2021 at a cost of $65 million. Thomas Krens, the man behind MASS MoCA, brought Gehry Partners onto the project, though Krens and Gehry have a longstanding relationship: the pair worked on the Guggenheim Bilbao when Krens directed the museum’s New York location.